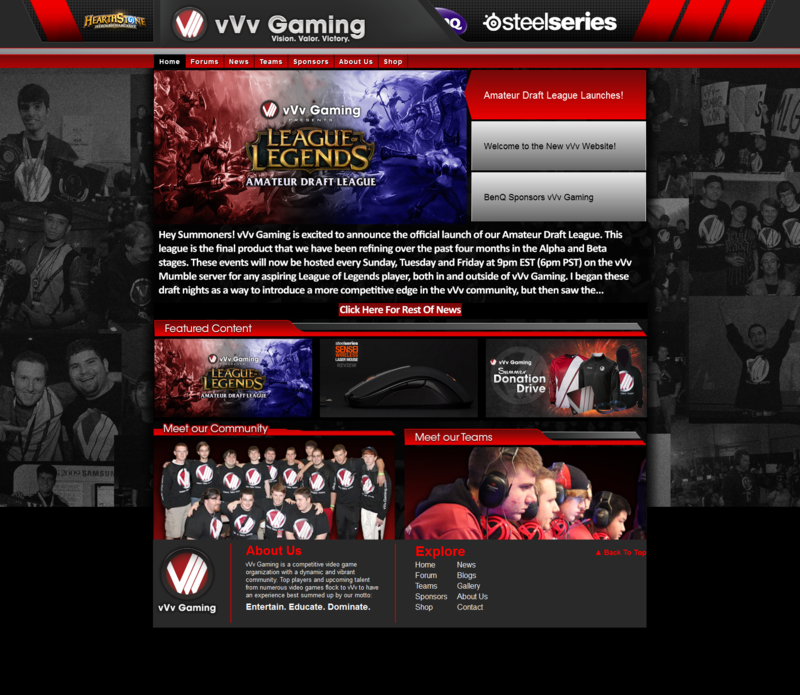 vVv Gaming launch new website! Today is a very exciting day for all of us at vVv Gaming! If you’re reading this, you can most certainly guess why. Welcome to the new and improved vVv-Gaming.com! In about mid-December of last year, staff began the discussion of our website and what could be done to improve the experience of members, from when they first come to the site, to when they apply and become a member. Great job to all the staff that worked on the new site! Edit: Forgot to re-add the mission statement quote, but that could be stuck somewhere like the Grey box area at the bottom. Now I don't have to wait for the Home Page to load before I continue to the other sections of the site. Do do have one issue about what is going on when I was look at the setup of the Home Page Picture, the way that the way the sponsors where going to be show, I like the sliding as you can say much better.